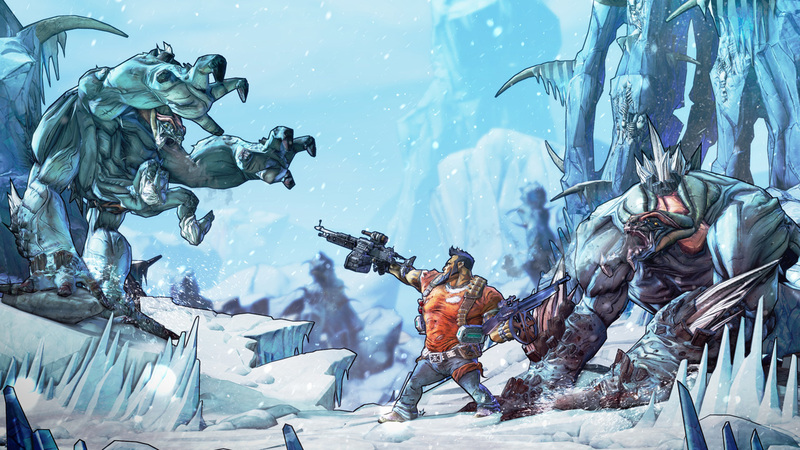 Gearbox has heard our pleas for a level cap increase in Borderlands 2, and as such have been hard at work overhauling the entire game balance under the hood to make it possible. The developer also went the extra mile by adding a few more features. The major free update, expected to arrive April 2, will add an additional ammunition upgrade for each weapon type (which will cost 50 Eridium in-game), two more backpack slots (THANK GOD) priced at 50 and 100 Eridium respectively, and two more storage spaces in the bank, with the same cost as the backpack upgrades. To support the increased cost of these upgrades, the maximum amount of Eridium a player can hold has increased from 99 to 500. One of the biggest upgrades is Ultimate Vault Hunter Mode, which is unlocked after the player hits the level 50 cap. This mode can be replayed endlessly and mission progress can be reset at any time. Here’s where it gets really hairy: enemies and bosses will scale to the highest level player in your party. Enemy health is quadrupled and regenerates, slag damage is more devastating to enemies and players, weapon swap speed is increased, enemies are more likely to drop ammo, and Loot Midgets have been upgraded to Legendary Loot Midgets. If you got the Season Pass, you can get the helpful Ultimate Vault Hunter Upgrade Pack that increases the level cap to 61 and adds Ancient E-Tech relics and Pearlescent weapons in UVHM. This will all be appearing in the April 2 update, but players won’t have to wait much longer for the following May update that unlocks the fourth add-on pack as well as the new character Krieg the Psycho. Are you still playing Borderlands 2? Will any of these updates get you back on board? Tell us in the comments, or discuss Borderlands 2 in our forums!